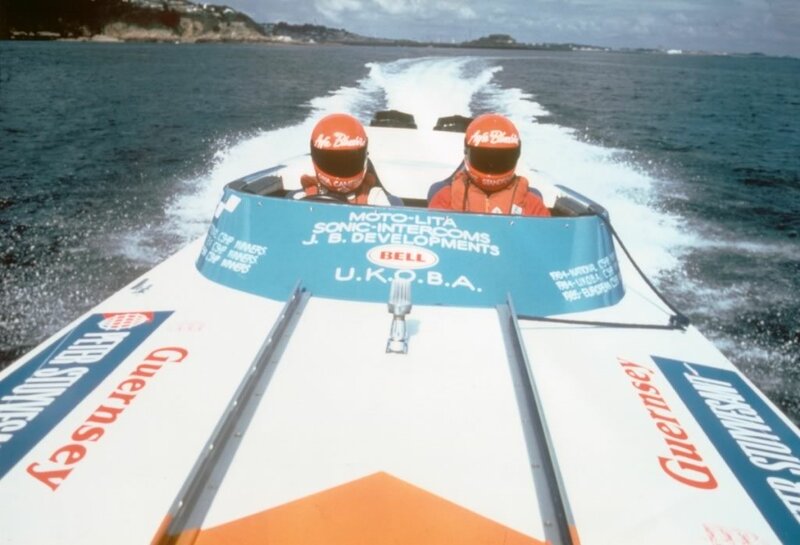 the UK Offshore Boating Association Championship with her partner Mike Standring, as well as the Royal Yachting Association National Championship. 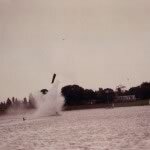 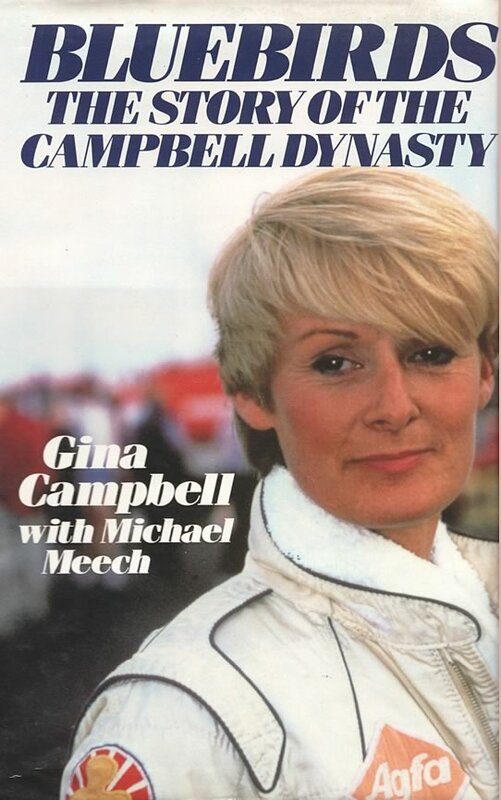 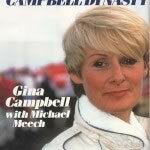 In the same year, at Holme Pierrepont in Nottingham, Gina Campbell broke the Women’s World Water Speed Record at 122.8 mph. 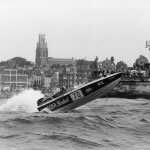 Attempting to increase the record on the same day in her Evinrude piston-engined, Agfa-sponsored Bluebird II power boat, she broke both collar bones in a crash eerily similar to her father’s accident in 1967. 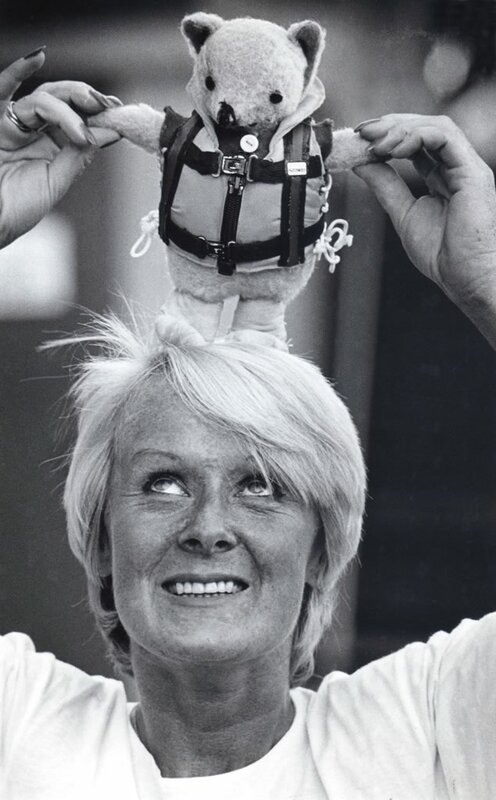 Despite all odds, she lived to tell the tale. 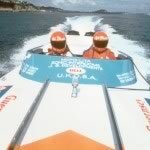 Undeterred, in 1990 Gina broke her own World Water Speed Record in New Zealand, achieving 166 mph in a three point hydroplane. 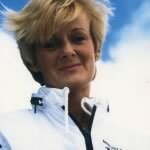 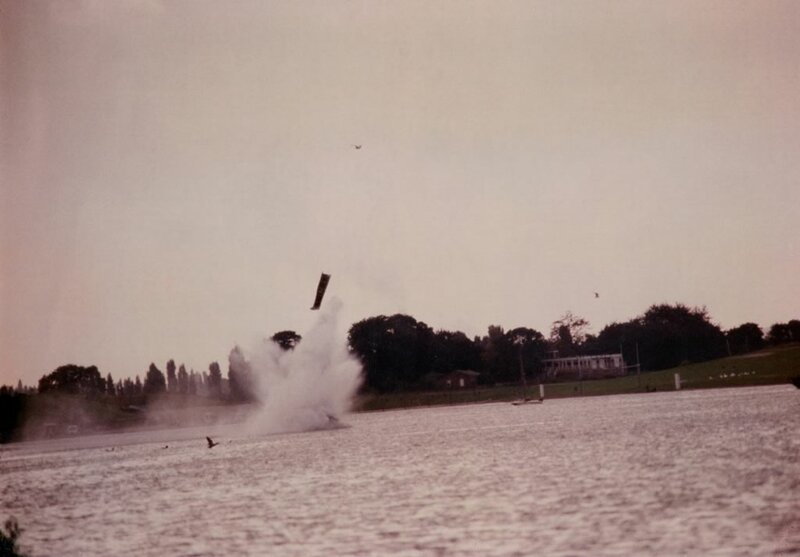 Her record stood until taken by New Zealander, Heather Spurle, in 1993. 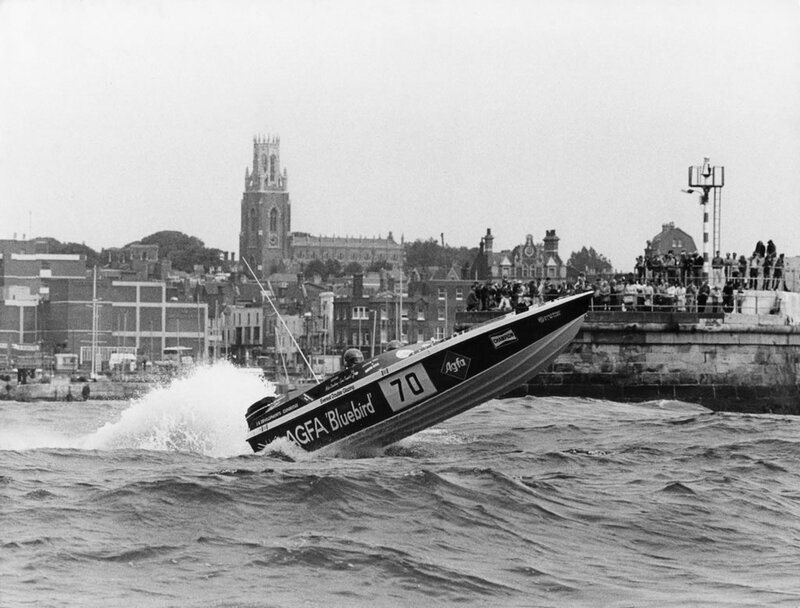 Nevertheless, Gina can still claim to have travelled faster on water than either her Grandfather or Father in a piston-engined vessel. 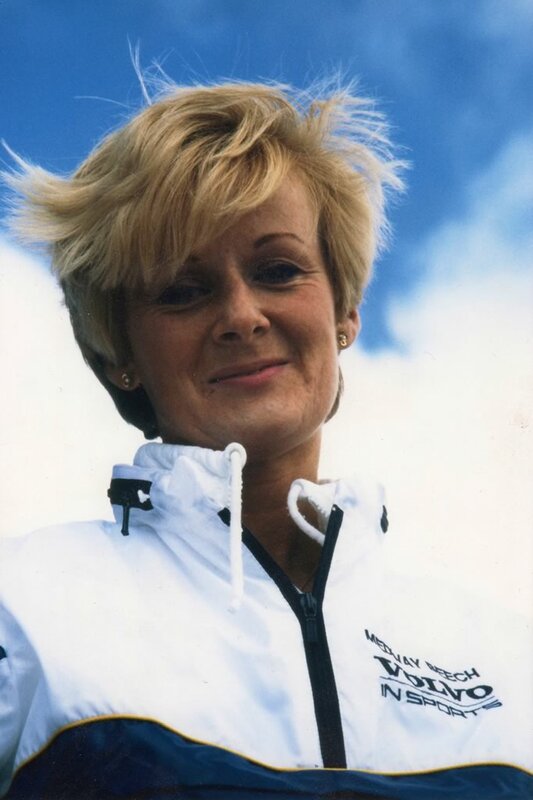 Inspired by New Zealand, Gina moved for a time to the country and, whilst resident there, was awarded the Queen’s Service Order for promoting water safety.